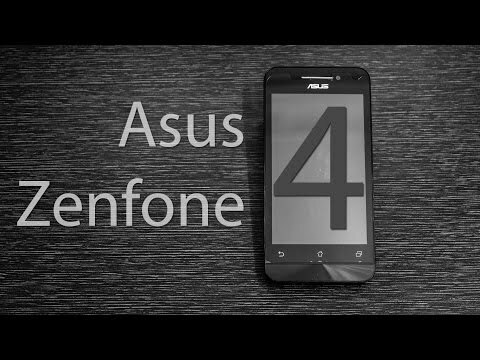 If you own Asus Zenfone 4 A400CG, please do leave your feedback too. Lowest price of Asus Zenfone 4 A400CG price in India starts at Rs. 6,499 Asus Zenfone 4 A400CG is available on Flipkart at Rs. 6,499. Prices updated on 19th April 2019. Taiwanese smartphone maker Asus has launched the ZenFone 4 in India at an unbelievable price. The previous phone by the company was the Asus Zenfone 5. The ZenFone 4 is a cool looking device. The phone is a Dual SIM device. As the name suggests the device has a 4 inch IPS display with 800x480 pixel resolution which takes the pixel density to 233PPI. The device is powered by an Intel Atom Dual core processor clocked at 1.2GHz and comes with 1GB of RAM. The phone has internal storage options of 8GB which can be expanded to 64GB via a MicroSD card. Asus also offers 5GB of online web storage which is free for life. Asus has a slick-looking interface called the Zen UI and runs on top of Android 4.3 Jelly Bean. The interface is designed in such a way that it compliments the design of the phone. The device has an 8 megapixel primary camera with flash and a 0.3 megapixel front camera. The phone has a non-removable 1600mAh battery. The Zenfone 4 will give a tough fight to the Moto E or the recently announced Xiaomi Redmi 1S.